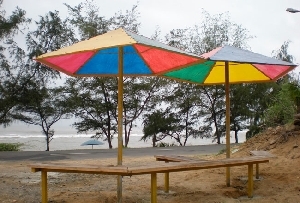 Devka Beach, Daman can easily compete with the other spectacular beaches that India boasts of. Daman boasts of some amazing beaches that have the potential of seducing even the most discerning of beach lovers. 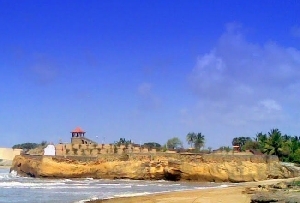 Daman, the capital of the Union territory of Daman and Diu, is itself a charming holiday destination. Add to it’s the enchantment of the mesmerizing beaches and there is no way one can dismiss the call of this idyllic place. Those who have even a remote interest in sea, sand and surf can check out the Devka Beach in Daman. 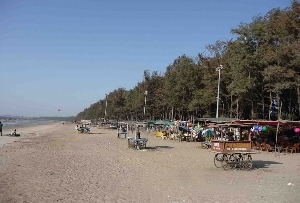 The long shoreline of Daman’s Devka Beach has captivated the fancy of many a tourists traveling to Daman. The amusement park and the musical fountain have a lot to do with the interest that the beach generates. The amusement park is highly well-maintained and is quite popular with the tourists. The multi-hued musical fountain is worth a watch. In fact you won’t be able to take your eyes off it. Devka Beach, Daman not only fascinates the grown-ups, but also generates a considerable amount of the interest among the kids as well. The amusement park which is beautifully decorated and illuminated during festive occasions act as a major draw. The kid’s corner holds out the promise of keeping the kids occupied. 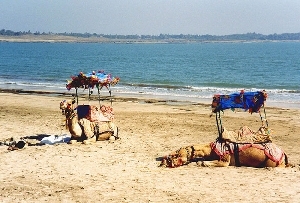 The thrilling pony-rides are also a major attraction of the beach. When you feel exhausted and fatigued after romping about the beach, you can head for the food joints, most of which are located within the walking distance from the Devka Beach, Daman. 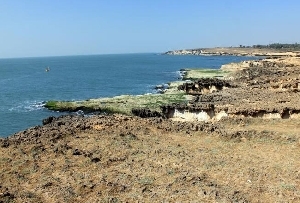 However, it must be taken into account that there are rocky formations beneath the water in Devka Beach, Daman that might hurt if you get careless.